Song of Waitaha – Histories of a Nation brings the oral history of the Waitaha people. This unique book casts light on the culture, scientific and natural wisdom of the early peoples of New Zealand. 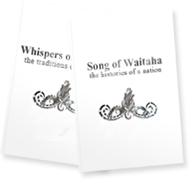 Please note Song of Waitaha is now almost sold out and will most likely never be printed again. Grab a copy while you still can. This stunning hardcover edition of ‘Song of Waitaha – Histories of a Nation’ contains 312 pages of stories, histories, illustrations and photos that inspire a love for the land of Aotearoa New Zealand. 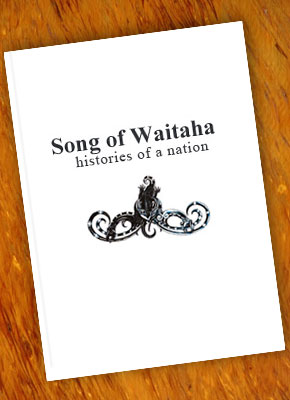 First published in 1994 ‘Song of Waitaha the History of a Nation’ sold out within a few months. We have only a few copies left – this book will most likely NEVER be printed again so don’t miss out!